Rejection hurts because of our thoughts about rejection. It hurts because of what we make it mean in our mind when someone doesn’t want what we offer. Circumstance/ Fact: You approach a woman, you ask her for her number, she says no. Thought/ Judgment/ Belief: She said no because I’m not attractive. Action: Only ever talking to women who I am not fully attracted to but I know won’t reject me. Result: Meeting women only by chance, not through my own intention. Slowing down the process of meeting someone I think is incredible. Since I’ve started coaching men in their dating lives, I have found that thoughts like these are not only unpleasant to think and feel, but also get in the way of them taking action in their lives and getting the results they want. Why is it that two different people can have the same experience in life and feel such different emotions? The answer is beliefs. I think differently about social rejection today than I used to in the past. My thoughts are very different from the thoughts of my clients when it comes to rejection. I hope sharing my beliefs about rejection below will help you change yours. I hope it will make rejection seem less serious and painful to you like it does to me. I hope you can replace some of your pain causing thoughts, with my calming thoughts. My beliefs make me feel relaxed and therefore more willing to try and put myself out there. With these beliefs I don’t put my entire self-esteem into the hands of a complete stranger every time I talk to them. When you approach a woman who you don’t know, she is going through the exact same process as you, in her own mind. So her judgments, feelings, and actions towards you are mostly influenced by her past experiences, beliefs, thoughts, and ideas. That’s why if you approach 50 different girls in the same way, on the same day, you will still have 50 different reactions. Often men make the mistake of thinking that rejection is 100% influenced by them. But each new person you approach is a new interaction, a fresh slate, and different from any interaction you have ever had before. There is no need to carry the rejection from one woman, with you to the next woman you talk to. They failed my first test. Before I invest all of my emotions, time, and energy into someone, they must first like me. I may make the initial investment of being vulnerable and approaching them, but I don’t fall in love with people who don’t like me. It’s not attractive to me when someone rejects me. I don’t force anyone to like me. If they don’t like me we are not compatible. My first test is always to see if she returns my interest, if not, she failed to get past the first filter. Any woman who receives my effort must first be receptive towards it. This is my most basic standard. Rejection happens at every level, to everyone. Rejection isn’t reserved for the ugly. Or the poor. Or the nerdy. Or the deficient people. Rejection belongs to everyone’s life experience. Rejection happens to all people. It happens even when you avoid it. 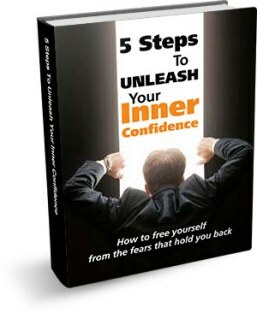 It happens internally and externally. It happens to rich people and famous people. Beautiful people. It happens to babies when they are too young to speak. It happens to elderly people. And since it happens to everyone, it is the least accurate measurement of someone’s attractiveness or worthiness. There is a key difference between the judgment: “I met The One and I lost them,” and “I thought they were The One and it turns out I was wrong.” The second is still really disappointing, but less so than the first thought. One assumes you lost something. The other assumes you haven’t found something yet. You only want one kind of girl to like you. You don’t want all girls to like you. You don’t need all girls to like you. You are only looking for a specific girl to like you. If she doesn’t like you she is not that girl that you were looking for. You were looking for the girl who likes to talk about books like you do. You were looking for the girl who enjoys your weird sense of humour. When you attempt to get everyone to like you, ironically no one likes you. When you try to fit everyone else’s preferences, you become bland and boring. Trying to do and say all of the things that won’t make her run away. Keeping it safe and not showing any interesting aspects of your personality for fear that she won’t like them. Imagine mixing all 25 flavors of ice cream at the local store. Who will buy that flavor? No one because it tastes like crap. You don’t really want to appeal to the girl who hates the outdoors when you love the outdoors. You don’t want to appeal to the girl who likes chocolate ice cream when you are vanilla. You’re not trying to be everyone’s cup of tea. Because you know that’s impossible and attempting it only makes you dull. She didn’t want what I have. She didn’t want what you have. Don’t make it mean anything more than that. Don’t make it mean “She didn’t want what I have because what I have is bad.” Bad is an adjective. That means it is a perception, not a fact. She didn’t want what you have because she didn’t want it. She prefers not to have it. You have something that she doesn’t want. There are girls out there who want what you have. She was not one of them. Rejection is normal and okay. Rejection isn’t a nightmare. It’s just something that happens as you interact with the world. It’s the temporarily painful experience of walking into the wrong direction. It’s the process of being pushed away towards something different. It’s kind of like we are blindfolded trying to walk through a maze. Rejection is the awkward fumbling and pushing against walls as we try to make our way through. It’s feedback that points us in the right direction. Rejection is not a sign that you should sit down and stop walking. It’s just a sign that that job, girl, or other thing isn’t really for you. Or at least not right now. I’m both ugly and beautiful at the same time. You are ugly to someone and beautiful to someone else. One is not truer than the other. Someone thinks you are fat and someone thinks you are too skinny. Someone thinks you are boring and someone else enjoys listening to you. According to everyone else you are many different things. You don’t need to consider all judgments about yourself from other people. You can always find evidence for and against them. The most important judgments are the ones you tell yourself everyday, because only those influence your feelings, actions, and results. I’m willing to feel rejected. You are willing to experience the temporary discomfort of rejection as a natural byproduct of pursuing things that are important to you and cause you to grow. Right? If you are not getting the results you want in your dating life you should consider coaching with me. 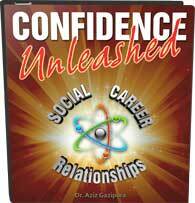 I’ve been trained by Dr. Aziz Gazipura as a confidence and dating coach. With your commitment, and my knowledge, we can create amazing results in your life together.